In a post last month, I had mentioned that I was delaying a purchase on an Apple iPad for various reasons, but a few weeks ago, I had enough money saved up to go ahead and make my purchase. I also saved a few bucks by purchasing a slightly used 32GB WiFi version over at Amazon.com. This post will be a little off topic from my usual posts, but I wanted to share with you 9 things I love about my iPad. Blogshelf App. Hands down, I find this application the best way to keep up with my favorite bloggers. Blogshelf costs $4.99 through the app store and it's the only app at this point in time that I have actually paid money for, but to me the cost has been worth it. Blogshelf looks and feels a lot like the iBook app but instead of ebooks, it has a book-like graphic representation of the blogs you have subscribed to. So, instead of getting on my desktop or laptop and hunting through my bookmarks for my favorite blogs, I just pull up the Blogshelf app and keep up with daily posts in a very efficient manner. Bible Apps. Right now, I have 3 different Bible applications downloaded to my iPad, and they were all free versions. Unfortunately, most of the free Bible apps require that you be connected to the internet via WiFi or 3G in order to access different versions, such as The Amplified Bible, The New International Version, and so on. This is not usually a big issue for me for the times I need to use the Bible apps. My church is wired for WiFi, so I can pull up these Bible Apps in worship services and Sunday School. The best two free apps I have discovered so far are the OliveTree BibleReader and Just1Word, Bible +1. eBook Reading. 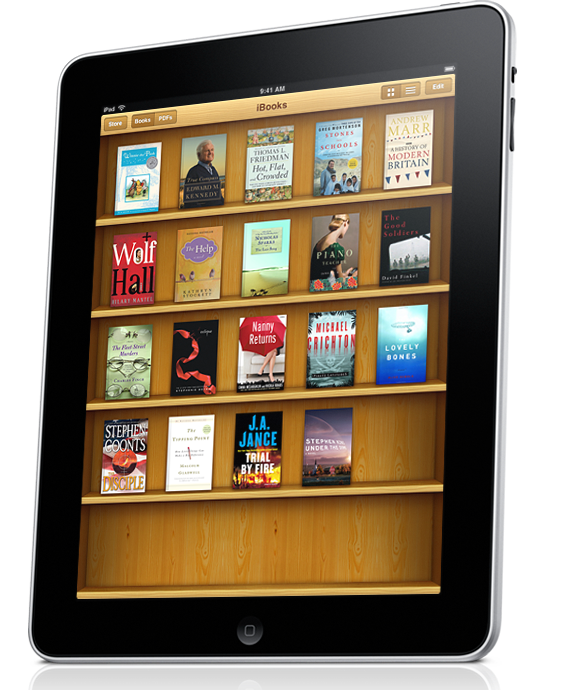 The main reason I wanted to purchase an iPad in the first place was to read eBooks. Since the Kindle first came out a few years ago, I have wanted to purchase that as an eBook reader, but when I heard the Apple rumors that the iPad would have that capability, I delayed my purchase for a multi-function iPad and I'm really glad I did. 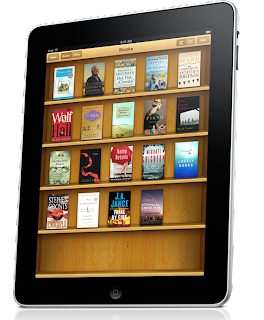 You can download eBooks through Apple's iBooks Store app or go with the Kindle app for iPad. Since I've had a long-term relationship with Amazon for many years, I've chosen to go primarily with them for my eBooks. The interesting thing I have discovered in reading eBooks is that I can actually read books faster electronically than traditional paper books. Going forward, I will definitely need to budget for 4-5 Kindle books per month. Netflix movie streaming. I subscribed to Netflix a couple of months ago in order to stream movies to my computer. Then, I discovered you can stream Netflix movies through your TV via a Wii, which became my favorite way to watch them. With the Netflix app on the iPad, though, the quality is really incredible. I have a really old TV (almost 20 years old), so it makes sense that the quality would be better, even with the iPad's smaller screen. Weather Channel app. The days of waiting for a complete weather forecast from your local TV station or even the Weather Channel on cable or satellite are now over. With just one tap of my finger, I can now view a synopsis of my local weather for the day, an hourly breakdown, and a 10-day forecast. You can also view various maps such as radar, rain and clouds, temperature, UV index, and so on. Social networking apps. I find the free social apps such as Facebook, Twitter, and LinkedIn as a great way to keep up with my friends, connections, and followers on the go. iPod app. As a musician and instrumental worship pastor, I have found the iPod as a useful tool. Over a year ago, I purchased an older, used 1GB iPod nano to use for work and personal reasons. Now with the iPod function on the iPad, I find this a much easier way to organize my mp3 files into playlists related to my work responsibilities and personal music listening. This app comes preloaded on the iPad. Note taking. In the past, I always found myself scrambling about my office looking for a notepad to take with me to meetings, but no longer. The iPad comes pre-loaded with a Notes app that I have found more than adequate for my needs. I just did a search on notepads in the app store, though, and I discovered a few notepads with some great features. Hmmm, I may need to purchase a better app for this. Fun for the Kids. There are a number of fun, free apps available for kids that my daughters have enjoyed playing with. These apps include word search games, a Radio Disney app, a drawing app, a race car game, and a Toy Story 3 app. The iPad is fun for the entire family! Do you own an iPad? If so, what are your favorite functions and applications? You should check out the Blue Letter Bible App. I'm a preacher and this is the app that I study with. You can click on a verse and it look up the Greek/Hebrew, commentaries, cross references, and more. It is the ultimate Bible study app!